Amaranthine. The Heart Of Decompose is an interesting story, set in a wild universe, filled with dragons, zombies, fairies, unicorns, and Santa! Dee, the son of a warlock, is the Plague of Decompose, created by the Wyverns (dragons) to destroy Equus, a race of unicorns. Before him, his mother was the host for the plague. Now that the plague has mutated and infected various planets including Earth, Dee is trying to help find a cure to stop the infestation. His search takes him across various planets and through encounters with different races. I was a little confused in the first chapter because of the introduction of so many characters. Out of all of these, I was more interested in Jimmy and Santa. No, not the mythical jolly man in the red outfit that you're thinking of. This is an entirely different rendition of Santa who our Christmas myths are based around. He is a Sablaturite who can manipulate time. However, as the story progressed, I was more interested in Dee and Harmony. Her interaction with Dee seems mystical. If she touches him, she amplifies his already godlike powers, just like his friend Jhon in a way. Being around her makes Dee feel mortal. I felt that their relationship, if introduced earlier in the novel, would have made the plot more interesting. That's not to say that the plot wasn't interesting in general. The story really picks up in the second chapter but more so near the end after Dee is a captive of dragons. However, during the struggle between Dee and his friends, Santa comes into the picture to save the day. Although I like Santa's character in the novel, I didn't understand why he would come back and help Dee after everything that occurred. Also, near the ending of the book, things which I found confusing, suddenly started to piece together. The dragons wanted Equus dead (for what reason, I'm not sure) and hired Dee's family to create the plague. Secretly, they also create a cure for the infected Equus. By creating this plague (Dee is part Equus) he dies but the plague brings him back to life; trapped between being dead and being alive. I had no idea what these dragons looked like until the end. I don't remember if they were described earlier in the novel. In exchange for giving Dee the spell, they want Harmony. But Dee gives himself over instead. I found a few parts in the story that were hard to follow, leaving me with questions. Dee is a man full of magic. He has the ability to put up force fields to protect his friends and himself from zombies, he can transform into a unicorn (he is Equus after all but not purebred like his mother who can transform into other animals,) he can heal his friends wounds, he can manipulate water, he can read minds, he can project images into the minds of others, he can remove tumors...I was curious as to what Dee could NOT do. He seemed almost too godlike to believe. During Dee's first encounter with Harmony he tells his friend Jhon that the cure is inside him but radiates from her. They're the cause for the zombies in the region acting almost human in nature. The next Chapter reveals that she isn't the host for the cure. Then what exactly is her purpose besides being the relationship part of the plot? As I mentioned before, there are plenty of characters in the novel and different POVs. It wasn't hard for me to keep up with each POV however, at times, I felt there were too many which hindered the novel's progression. Sometimes I found myself flipping back the pages to determine what exactly was going on and how it played into the storyline. The book also includes a glossary which I recommend scanning over so you don't become lost and confuse during the story. Different worlds, names, species, races, issues, problems etcetera. 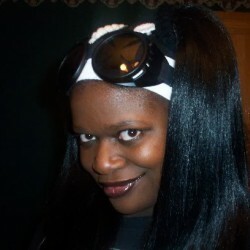 Overall, Amaranthine. 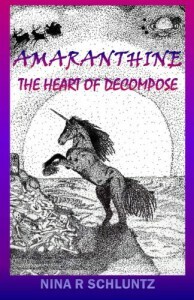 The Heart of Decompose was an interesting novel. This futuristic and complex world leaves a lot for the imagination.